I've always thought of this as one of those classics I "should" have read a long time ago. It felt like one of those Important Books that I somehow missed out on during my childhood. It also very like a very 1990s book (this cover was from the 1993 edition and the one I most associate as the "real" version), but I was surprised to realize that it was actually first published in 1978. To me, that's "old" and make more sense why I've associated it with a classic or standard version. Unfortunately, I didn't read it in the 1990s. 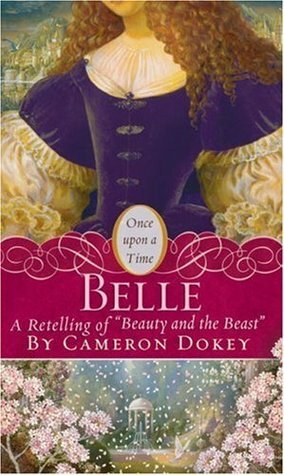 I read it in 2016, and I read it six years after I'd read Cameron Dokey's version Belle (part of the excellent Once Upon a Time series). Considering McKinley's version came out long before Dokey's did, I have things kind of reversed in my mind, which isn't entirely fair to McKinley but it is what it is. Since I read the Dokey version first, to me that's the "original" and McKinley's is the copy. 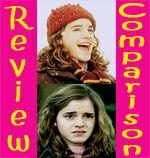 Both versions are so similar that I don't know that my opinion of them wouldn't just be reversed had I read them in the opposite order. 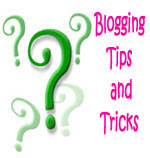 They're both written in that superficial way that works really well for fairy tale retellings. What I mean is that the characters don't have depth, the romance is very undeveloped, and the plot doesn't always make perfect sense, but none of that is a bad thing because it's supposed to be that way in a fairy tale. Both versions stick closely to the bones of the fairy tale: family of sisters lose a mother and fortune, father has an incident with the beast and a rose (a man whose appearance and estate are cursed because his personality is beastly), girl takes place of father in a bargain with the beast, girl and beast find love, enchantment is broken, happily ever afters abound. There isn't really much to either story beyond that, and nothing more is needed. Both stories are pleasant, slightly beautiful, forgettable in the details, but remembered fondly in the broad strokes. I'd recommend them both equally, but I personally lean toward Dokey because we met first (also, her book has the more beautiful cover. Even the reprints). 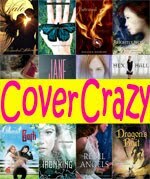 I enjoy these types of fairy tale retellings and I think it's somewhat unfair to compare them to the types of retellings where the author takes the bones of the fairy tale and then fleshes them out with their own unique story. Both approaches have their value and I enjoy them both. But, the latter has the ability to stick in my mind more, grip my heart more, and just feel more. Juliette Marillier's version is the more kind of retelling. 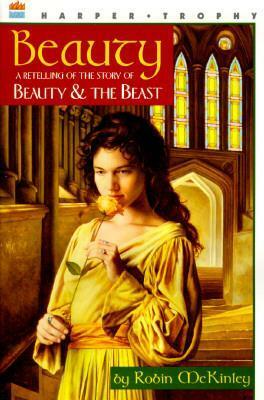 It's a Beauty and the Beast retelling, yes, but it's also it's ok unique story. The bones of the original tale are used as a framework that Marillier then weaves her story around. The original becomes almost more inspiration, loosely alluded to and there enough to guide the story but not enough to dictate it or make what happens next wholly predictable. What sticks in my mind is less the traditional tale and more a mix of ghosts, wintry chill, and peril. An old, isolated castle with cold stones, exploration, and hidden treasures waiting to be discovered. And by treasures, I don't mean gold, but things like libraries, hidden historical clues, stories lost to time, curses, magical artifacts, and secret rooms. This is the kind of book where things are uncovered. My joy in reading came from following main character Caitrin as she explores the castle, meets the mysterious, friendly, and frightening denizens, uncovers the past, and pieces together the curse. The romance itself was ok. I wasn't a huge fan of the beast because he's, surprisingly, kind of weak. But that's ok, because everything else more than made up for this. This is the type of book that makes me think of the word storytelling all italicized and underlined. This was a book to be savored, even though I flew through it, utterly absorbed. This is a book to be reread. It reminded me of books like Uprooted and The Thirteenth Tale and holds a place on my Special Shelf. 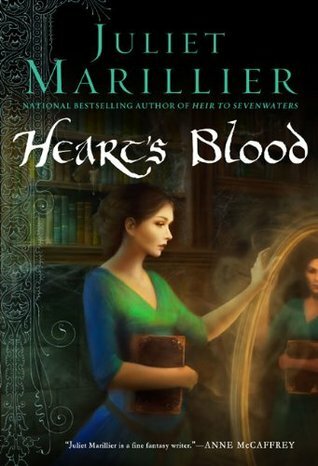 I've been meaning to read something by Juliet Marillier, but I've heard her books are super slow which makes me hesitant to pick them up. Maybe I'll start with this one since it reminded you of The Thirteenth Tale which I absolutely loved. I was afraid they were going to be slow, too, but the ones I've read didn't feel slow. They're not fast either. They're kind of in the middle? I prefer the retelling that only has the barebones but has a unique story too. I agree that it sticks in my mind more. Heart's Blood sounds like my kind of retelling! I'm going to add that to my wishlist!